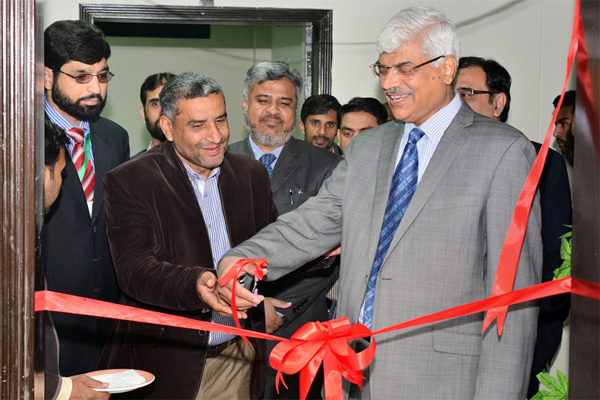 Dr Muhammad Aslam, Rector UMT, inaugurated the newly established Information Processing Center (IPC)-II in the southwest building, near the campus mosque. Designed with state-of-the-art infrastructure and modern technology, the IPC-II has a capacity of one hundred sixty (160) latest core i-7 computer systems that will cater to the needs of the students of School of Systems and Technology, and School of Textile. The computer lab fully equipped with networking, email, internet and specific software and printing facility would also be embellished with wireless and high speed Wifi network. Expressing his views, Dr Muhammad Aslam highly appreciated the relevant departments for timely completion of the project. He said the new IPC-II would reduce traffic and offer a conducive environment for the students to work comfortably. He said further developments regarding IT and infrastructure are underway that would soon take place at the campus. 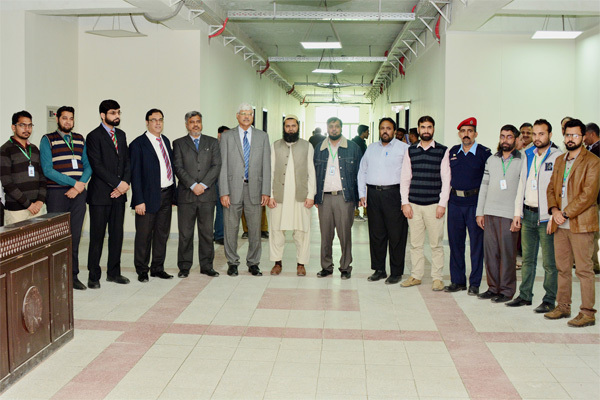 Later on the Rector took a visit to the classrooms, labs and faculty offices of a new academic block. IPC-II timings for the Sprint Semester would be observed from 8 a.m. to 5 p.m.